Visitors flying into Las Vegas via McCarran International Airport fell 11.8 percent in March 2009. Approximately 3.6 million visitors flew in and out from Las Vegas, Nevada. All top five airlines serving Las Vegas were affected by the decrease in traffic. The decrease in passengers is more than the population of Henderson, Nevada of 244,000 fewer visitors at McCarran Airport. Southwest airlines reported 1.4 million arrivals and departures to McCarran, or a decline of 2.8 percent. Southwest is the largest Las Vegas airline. The decline for the airline wasn’t only felt in Las Vegas, NV. They were also affected by a quarterly financial loss and buying bulk fuel at a high price. Currently Southwest has 234 daily departures from Las Vegas and next month will decrease by 1. August will have nine less departures scheduled. The second largest is US Airways, fell 33 percent due to current economic condition related travel declines and high fuel prices that started last year. Their passenger total was 458,616 for the month. American fell to 185,876 or 1.3 percent, United airlines fell to 251,662 passengers or a 5.5 percent decline and Delta fel to 202,150 or a 10 percent decline. Allegiant had an amazing increase of 181,821 departures and arrivals. This is an increase of 4.8 percent from same month a year ago. 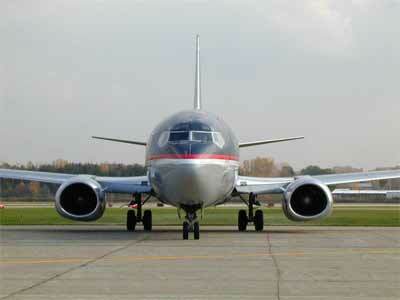 The airline expects a continued increase through the rest of the year with leisure customers. Las Vegas is a bargain destination. Hotels and airlines have had to discount prices to lure customers and contributing to an overall lower vacation. Las Vegas visitors via McCarran International Airport fell 11.8 percent in March 2009.